The Public Libraries in Aarhus (Denmark) and Chicago (USA), with funding from the Gates Foundation, created the Design Thinking for Libraries toolkit to introduce a way of working that will help you understand the needs of your patrons and engage your communities like never before. We understand that the challenges facing librarians are real, complex and varied. As such, they require new perspectives, new tools and new approaches. Design Thinking allows us to work together to discover what our communities want and experiment to create services, programs and processes to meet their changing needs. This toolkit serves as an introduction. Libraries all over the world have volunteered to translate the Design Thinking for Libraries toolkit. You can download their translated versions free on this website (Translations). So far we have received toolkits in Chinese, Czech, Danish, Dutch, English, French, German, Italian, Japanese, Korean, Polish, Portuguese, Russian, Swedish and Thai. We've also heard there are more in the works. If you’re interested in translating the toolkit into your language, please get in touch with us at hello@designthinkingforlibraries.com. We’ll share files with you so the toolkit design looks the same, and we'd love to post your translation here so it’s available to other librarians. In addition to the toolkit, we’ve curated a set of resources to help support you through the design thinking process. Check out our new Examples and Tools sections. If you have examples to share from your library or tools you’d like to see, please get in touch with us at hello@designthinkingforlibraries.com. The toolkit is the result of a project funded by the Global Libraries program at the Bill & Melinda Gates Foundation. IDEO led the creation of the toolkit, which was shaped largely by experiences working alongside librarians in their everyday professional settings over the course of 2013-2014. 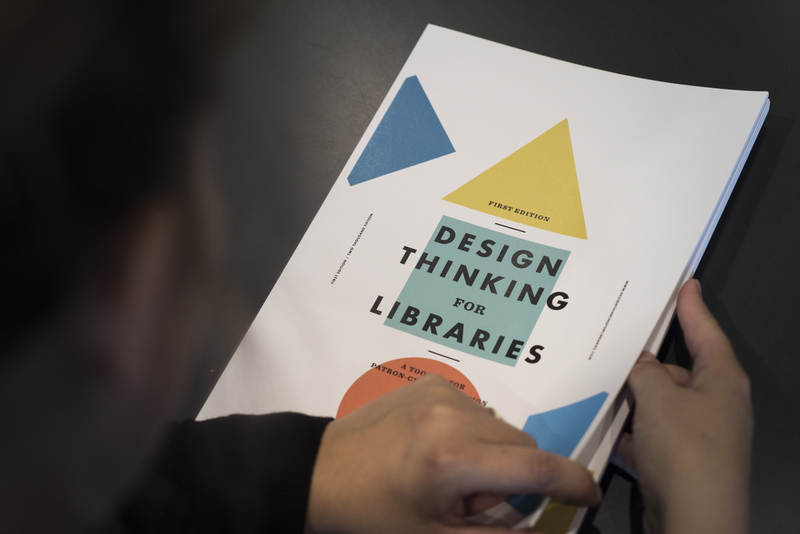 We partnered with Chicago Public Library in the United States and Aarhus Public Libraries in Denmark, observed over 40 librarians across 10 countries, and synthesized learnings from their initial design experiments into this toolkit. You can get in touch with us at hello@designthinkingforlibraries.com.